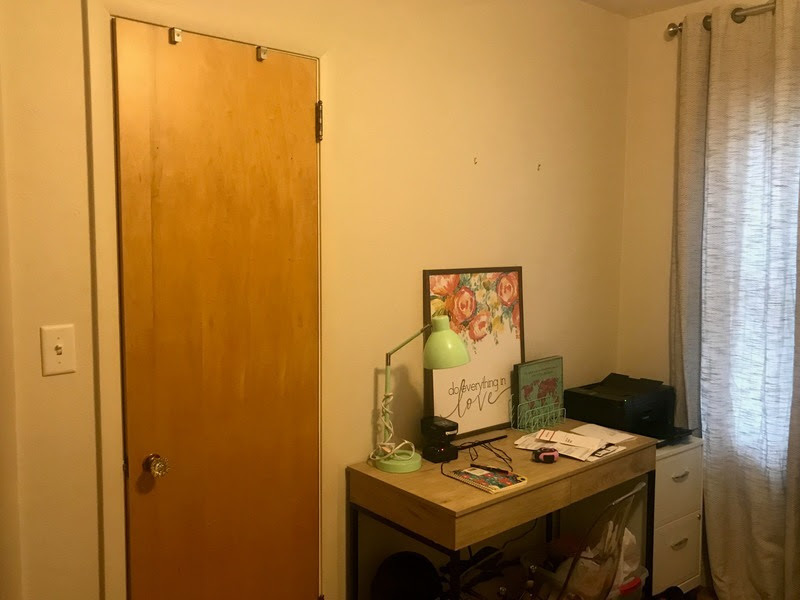 Home Office + Guest Room Makeover | H.Prall & Co.
A recent client of mine had a small spare bedroom on the main level of her house she used as a home office, but also had the hopes of adding a guest bed to. She purchased the coolest rolled-arm daybed that can be used to sit on to watch tv or for an overnight guest as needed. We added lots of colorful accents, a gallery wall, extra lighting, an area rug, plus plenty of fun too! She already had the desk + chair, so we were good there. In addition to all the furniture and accessories, she had 2 local makers create a tv backdrop for the wall (oh em gee…it’s so gorgeous) and three hexagonal shelves that turned out even better than I’d imagined! Once all the big pieces were purchased in place, it was time to style…my favorite! It’s all in the details, after all, so placement + styling is where I love to pour out my creativity. The gallery wall adds just the right amount of flair on what was a big, empty wall, the pillows and throw blanket add lots of cushion for enjoying the daybed, and the faux greenery give the room a little touch of nature. This room is fun and functional now…a must in a tiny-nugget of a house. I love my client’s style and am so thankful she chose me to help bring her vision to life! With a little creativity and a lot of imagination, you could have a space like this to call your own. If you’re interested in a consultation with us, LET’S GET STARTED! Follow us on INSTAGRAM for lots more tips + tricks!